In August 2016, the Minister of Foreign Affairs of Myanmar and the State Counsellor (the major position in the government – author’s note), Aung San Suu Kyi made an official visit to China. This was her first visit to the People’s Republic of China in her new role, which she obtained after the victory of her Party, the National League for Democracy (NLD), in the parliamentary elections of 2015. At that time, the following question arose: what foreign policy would the “new” Myanmar choose – pro-American or pro-Chinese? Aung San Suu Kyi, the leader of the democratic opposition to the military government that had held power in the country from 1988, a fighter for human rights and a laureate of the Nobel Piece Prize of 1991, seemed to be a Western-minded figure back in the day. Yet, believe it or not, China rates her rather highly. 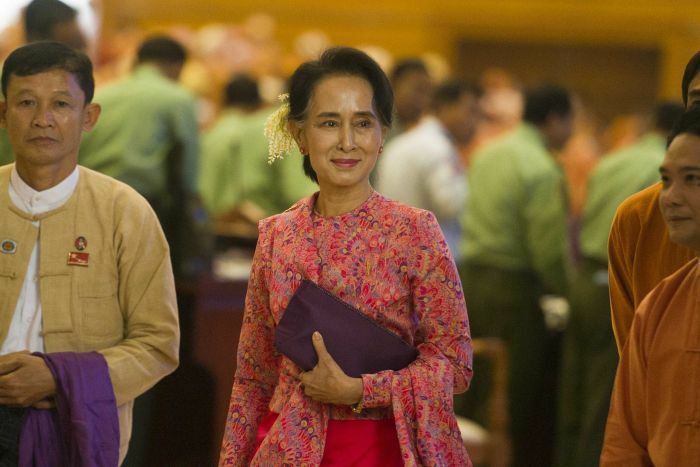 Being a pragmatic politician, she has always understood the importance of relations between Myanmar and China, and she has contributed to their development to the best of her ability, sometimes hazarding her reputation as a human rights defender. For example, in 2013, Aung San Suu Kyi headed the parliamentary committee that investigated the case concerning the Chinese company, Wanbao, accused of illegally confiscating land from Myanmar citizens in order to develop a copper mine. In that case, Aung San Suu Kyi managed to secure permission for Wanbao to continue its activity. Beijing appreciated the favour. The Chinese media published a number of positive comments on the leader of Myanmar’s opposition and the NLD won the elections of 2015 with the clear support of China. Thus, by the time Aung San Suu Kyi had risen to power, she enjoyed the support of both the USA and China. She had to navigate a course between these extremes to the maximum benefit of Myanmar. The fact that the first country visited by the new State Counsellor was China, which is not a member of ASEAN, might lend evidence to the fact that a choice has been made. It should also be noted that the Chinese Minister of Foreign Affairs, Wang Yi, visited Myanmar on April 5, 2016 – five days after the swearing-in ceremony of the new Myanmar government under the charge of NLD. He was the first head of the Ministry of Foreign Affairs to visit Myanmar after this important event. This fact bears witness to the fact that Myanmar is not only leaning towards the People’s Republic of China, but China is also interested in developing relations with this state. This comes as no surprise: Myanmar’s natural resources and geographic location make it a strategically important territory for China, which plans to reduce its dependence on the tanker supplies via the congested and dangerous Strait of Malacca. Myanmar has extensive hydrocarbon resources, and its territory is used to transport Middle East oil and gas from the ports of the Indian ocean coast. China has invested funds in the oil and gas industry and infrastructure of Myanmar for many years. It constructs pipelines, develops ports and finances various projects. Over the last 20 years, China has remained the major investor in the economy of Myanmar, having invested dozens of billion dollars. The mutual goods turnover between the countries reached a maximum in 2015, amounting to $20 billion. It should be also noted that until recently (2010-2011), Myanmar remained under Western sanctions, which also contributed to the development of relations with China. Now that a new democratic government have come to power, Western corporations have begun to take a greater interest in investments in various projects in Myanmar. However, the country is already accustomed to dealing with China and has a tradition of not trusting Western countries. In addition, Myanmar is now open to any foreign investors (apart from China, Singapore, Thailand, Hong Kong and Great Britain can be listed as the most significant). Despite the fact that nothing prevents American companies from investing their capital in the country, there is one more factor, the most important one: taking into account its strategic interests, China is ready to invest more funds in Myanmar that anybody else. This fact outweighs all the political and cultural factors. The USA, which has supported NLD and Aung San Suu Kyi for many years, may surely get a warm reception in Myanmar and various preferences, but the country can only count on occupying second place – China will still be ahead. The American influence in Myanmar may affect its various and sometimes unclear military and political interests, but China is putting its energy security on the line, which means that it is ready to allot more funds here. It should be noted that alongside finance, China has one more leverage of influence on Myanmar, which is even firmer: separatist groups, which the Myanmar government has been struggling with for many years. The Civil war ravaged the country for 60 years. It was based on confrontation between the government and the communist militia units. The war engaged various ethnic minorities of Myanmar, who continued the armed struggle with the government forces for many years after the defeat of the communists and their deportation to China. During the war, guerrilla communists and their allies – ethnic gangs – enjoyed the secret support of the People’s Republic of China. The war died down owing to the adoption of the Constitution in 2008. It respected the interests of all the ethnic groups and provided them with a serious autonomy. Each ethnic group was granted the opportunity to establish a Party represented in the government of Myanmar, while illegal armed forces were granted amnesty and joined the Myanmar army. However, small conflicts continue to break out from time to time. According to some sources, most acting separatists are closely related to China. It is worth mentioning that the territories near the Chinese border are the most troubled. Moreover, the national minorities of Myanmar the ethnic gangs claim to act under include the Chinese. In 2015, the authorities of Myanmar officially reported that Chinese separatists were receiving assistance from China in Shan State. This resulted in the deterioration of relations of the then government with China, and it might have contributed to the Beijing’s support for the opposition during the elections. Some officials announced that China had used its influence among the separatists to ruin the peace talks between them and the then government of Myanmar. This happened right before the elections of 2015, and seriously affected the popularity of the Myanmar leadership, and went on to be one of the reasons for its defeat. It is likely that China intends to use its contacts among the rebels to influence the new government of Myanmar. According to Aung San Suu Kyi, she only discussed economic issues with the Chinese leadership during her visit in August. It should be borne in mind, that on August 31, 2016, soon after her visit to China, the Peace Conference in Naypyidaw started. It gathered representatives of all the ethnic groups of Myanmar to discuss the new federal structure of the country and other issues that had disturbed peaceful coexistence for many years. The attendance of the UN General Secretary Ban Ki-moon at this conference speaks volumes about the importance of this event. If a stable peace is reached owing to this conference in Myanmar, this will be the greatest victory of Aung San Suu Kyi and her government, and the most important milestone in the history of Myanmar. It can be supposed that the then soon-to-begin conference was the main issue for discussion between the head of the Myanmar government and her Chinese colleagues, including those concessions, which Myanmar should make towards China so that the pro-Chinese rebels “behaved well” and did not ruin the talks as in 2015. The struggle between China and the USA for the influence in the Asian-Pacific region has been ongoing for many years. Each country of the region becomes the focus of confrontation. As for Myanmar, Washington is obviously losing the game as Myanmar is now dependent on the good will of the People’s Republic of China in too many ways.